Are you enjoying your summer? After a brutal winter simple pleasures like golf on a summer day are even more enjoyable. With that in mind it’s as good a time as ever to upgrade your golf wardrobe and gear, and golf shoes from OGIO are a great place to start. We checked out a new pair of the Race Spiked Shoes from OGIO. We tried the white pair pictured above and right away we were very happy with the design. The look of the shoe is fresh, but it’s also classy and will make you feel at home in any setting including a high-end country club atmosphere. Stability was very important in the design, so the shoe is built on a balanced frame where weight, support and traction are maximized to improve your stability. OGIO says the Race shoe draws its inspiration from OGIO’s heritage in adrenaline sports, with the goal of embodying the ideal blend of a fast look, custom fit comfort and performance. We were impressed with the feel of the leather and OGIO’s ‘Synkfit’ insole. This is an internal stabilizing system that minimizes the movement of your foot inside the shoe, therefore maximizing the transfer of energy into the golf ball. 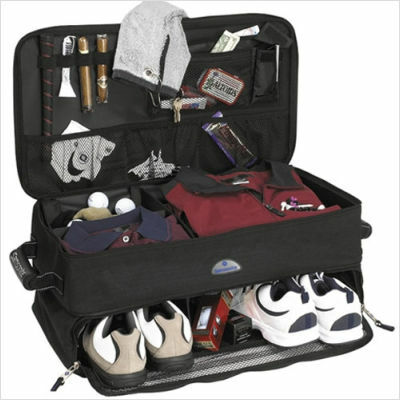 OGIO also features its Clymate Control, one way ventilation system that allows heat to escape from the shoe and prevents one’s foot from overheating. The idea is to make you comfortable on these hot summer days! 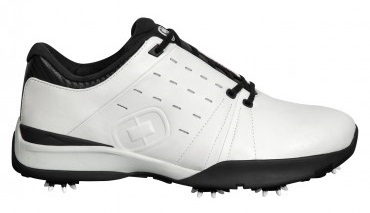 The golf shoes are also waterproof which you would expect from premium golf shoes. Check them out and you’ll hit the links in style.